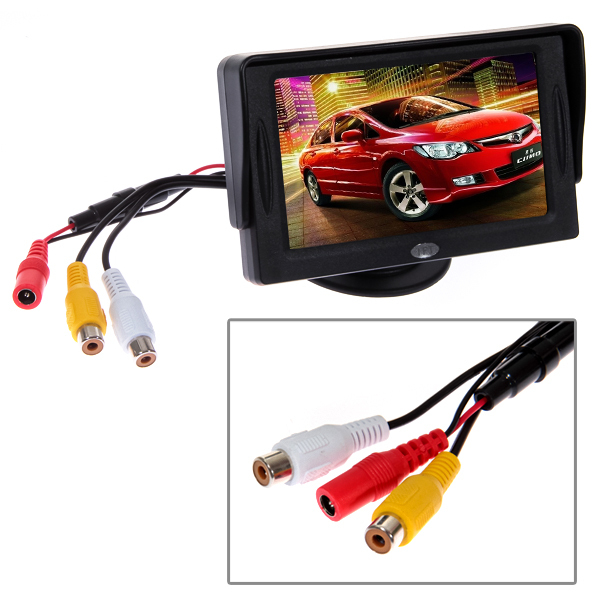 4.3" Color TFT LCD Monitor, works perfectly with car rearview cameras, supports Car DVD/Serveillance camera/STB/satellite receiver/other video equipment. 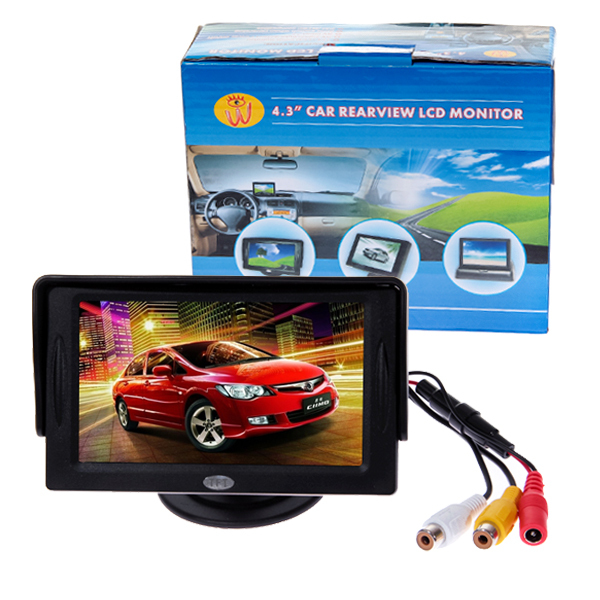 4.3" Color TFT LCD Car Rearview Monitor, works perfectly with car rearview cameras, supports Car DVD/Serveillance camera/STB/satellite receiver/other video equipment. 1. 4.3" LED Backlight Color TFT LCD monitor. 3. Full color LED backlight display. 4. With 2 video input: White video cable connects to car rearview camera, yellow one to other video equipment. 5. 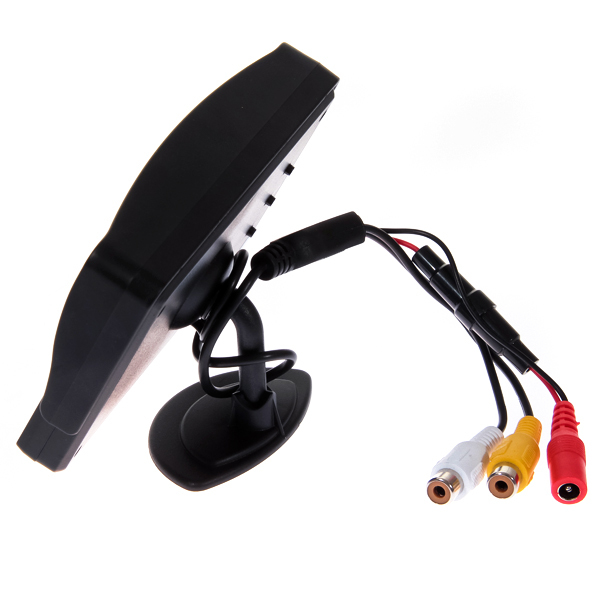 Parking rearview priority: The monitor will start up automatically, and synchronously display the video from rearview camera when you're backing your car; the monitor will close itself after backing. 6. Scenes will cut to rearview camera automatically while you're backing the car and change back to the original scenes after that. 7. 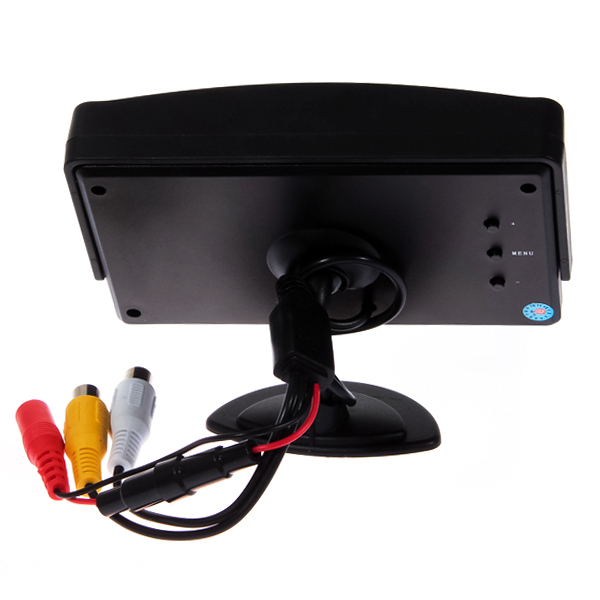 Supports Car DVD, VCD, camera, STB, satellite receiver, and other video equipment. 12. No Audio input or output.